In January 2012, I launched the iPad Academy Master Class, my series of online video lessons to help others learn to use the iPad. Registration was open for just one week. The only advertising I did was on my iPad Academy website. I offered these lessons at a special introductory price of just $37. The response was terrific! 107 iPad owners registered during the one week launch period. Registration remained closed until March of 2012, so I could devote the time and energy needed to serve the members of this first class and improve the content and delivery system I’d built. Fast forward to today. The class is running smoothly, registration is open 24/7, and iPad owners from around the world have signed up to improve their iPad skills. I am indebted to those early adopters for helping me to start what is now a significant part of my iPad Academy enterprise. So I’m offering members of this first class a gift. I recently updated the video lessons and my eBook iPad Academy: Tips, Tricks & Clever Techniques (free with the class). If you were a member of that January 2012 group and your registration has expired, contact me through the link at my iPad Academy website. I’ll renew your registration at no charge. You’ll find the Contact button just above the iPad Academy header at the top of this page. Please put the word anniversary in the subject line. I’ll check your name, renew your registration and you’ll have access to all the updated video lessons and the latest edition of my eBook. This is my small way of saying thanks for your trust and willingness to learn along with me. Not a member of that first class? See the next announcement for a special deal. For the month of February, I’m dropping the price of the iPad Academy Master Class to the original $37. So if you’ve ever wanted to become more comfortable and competent with your iPad, now’s the time. The online iPad Academy Master Class video series introduces you to the iPad, including settings, navigation skills and app fundamentals. You’ll learn simple shortcuts and time-saving tips to make your iPad more functional and more fun. 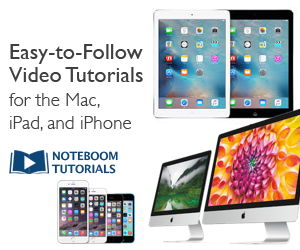 You get immediate access to 22 easy-to-follow, hands-on tutorials. Already a class member? Thank you for learning with me! Please pass this news along to friends, family and coworkers so they too can improve their iPad skills. Learn more about the class and see sample clips from lessons at this link. All current members of the class have access to the revised videos and the new edition of my eBook. So if you haven’t signed in to the class recently, drop by again to review the lessons or download your updated copy of the eBook.